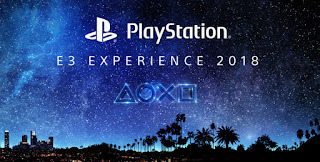 Sony, or shall I say the "Wallet Cleaners" have released another amazing show this year and while we knew a good number of games that were going to appear, we finally get some gameplay for those previously announced titles, along with several new game reveals. The Last of Us 2 - Ellie is back in this brand new, touching, yet brutally intense trailer. God of War - Though not officially featured, a news snippet I felt deserved mentioning was revealed during Sony's intermission. The presenting team confirmed that after a lot of feedback they'd received from the God of War community. Sony Santa Monica are currently at work implementing a New Game+ feature for this highly successful title. Call of Duty: Black Ops 4 - Four new maps have been remastered for Black Ops 3 (for those pre-ordering 4) and 4, which are Jungle, Summit, Slums and Firing Range. If you don't have Black Ops 3, but can't wait to get this, have no fear, because there's been a surprise PS+ drop with the title today, which you can download and play right now (provided you have PS+ of course). Tetris Effect - A colourful new take on one of the oldest, undying games around. Days Gone - VR functionality in a narrative-driven Zombie apocalypse setting? Sounds fun! Twin Mirror - An upcoming title from the team behind Life is Strange, and more recently, Vampyr. That team of course, is Dontnod Studios. Ghost Giant - In this fun, creative and cutesy virtual world, you are the Ghost Giant. Beat Saber - If you haven't already seen this on Social Media, it's a VR game that gives you two Lightsabers to destroy incoming blocks in sync with a backing song. Think Guitar Hero but for people who really need to hit things/Star Wars fans. Destiny 2: Forsaken - Little is revealed here, other than a nice looking cinematic, but more content for Destiny fans to sink their teeth into is always good news. Ghost of Tsushima - What can I say? This game looks incredible! Sucker Punch have done a fantastic job in capturing the true feeling of a feudal Japanese Samurai, not just through the jaw-dropping visuals, but also through the world and subtle animations laced throughout movement and the precise, cautious style of combat. The wind and lighting effects will most definitely prompt gamers worldwide to screen-cap each and every breathtaking moment they experience come release. Control - Am I seeing Inception? Is this set in the real world or a virtual one? It's hard to tell with such mind-bending physics in place, but needless to say, this girl has telekinesis and she's pretty adept at using it. This is a new IP I'm really looking forward to and is highly reminiscent of a game that released way back on the PS2 - Second Sight (I always preferred Psi-Ops). Resident Evil 2 - The fans wanted it, a team of modders started working on it and finally Capcom took note, dropping one of the greatest bombs during the show. Leon and Claire are back and they look better than ever! Trover Saves the Universe - A game being written and voiced by Rick and Morty's Justin Roiland, Trover Saves the Universe looks to be one incredibly strange game. Though the humour is very Rick and Morty and I agree it could be a fun little title, I personally felt like it was trying too hard to be funny and relying far too much on the success of Rick and Morty. We'll see. Kingdom Hearts 3 - Where Microsoft got the Frozen Trailer, we got the far superior Pirates of the Caribbean trailer, along with the announcement that there will be a version released exclusively to PS4 owners that includes Kingdom Hearts 1.5, 2.5, 2.8 and 3 all in one package. So, if you haven't purchased the 5000 variations of all previous entries yet, now you'll be able to get them all in one package and finally catch up with the story! Death Stranding - We finally have a full gameplay segment for this weird and mysterious game. It still remains weird and mysterious, but it looks as though Norman Reedus' character is tasked with some kind of otherworldly clean up duty, all while being hunted by creatures that instantly age anything they touch. It's also implied that the protagonist has the ability to come back from the grave/is resistant to the creatures attacks, making me believe he carries around the baby like his life depended on it, because it does, as he's likely able to transfer his consciousness into it. Is the infant a physical extra life, key to Reedus' characters survival? I'm not sure, but it's a conclusion I've created and taken from the footage shown. Also, the blonde woman looks remarkably like The Boss from Metal Gear Solid 3. Still, I firmly believe any theories linking Death Stranding to the Metal Gear universe is simply a case of fans clutching at straws. It is a shame that Kojima and Konami can't just kiss and make up, though. Nioh 2 - Well, here's a title I didn't expect to see, but one I'm glad made an appearance. I've put many hours into the original and still haven't beaten it. If you haven't played it, it's super stylish and ultra hard, just how I like it. Spider-man - I really liked the gameplay shown here for Insomniac's upcoming Spider-man title. Electro is one of my favourite Spidey villains because of how psychotically deranged he is and if the devs released his camp, spandex outfit (star mask and all) from the 90's cartoon as a pre-order bonus, I'd totally jump on that. Plus, we get to see Rhino, Vulture, Scorpion and Mister Negative teaming up with the electric loon to kick the hell out of our poor, friendly neighbourhood Spiderman. The combat, web swinging/slinging and enemy/world design look great. Perhaps this will be the Spider-man title to supercede my cherished memories of Spider-man 2 and Ultimate Spiderman, released way back during the PS2 era. 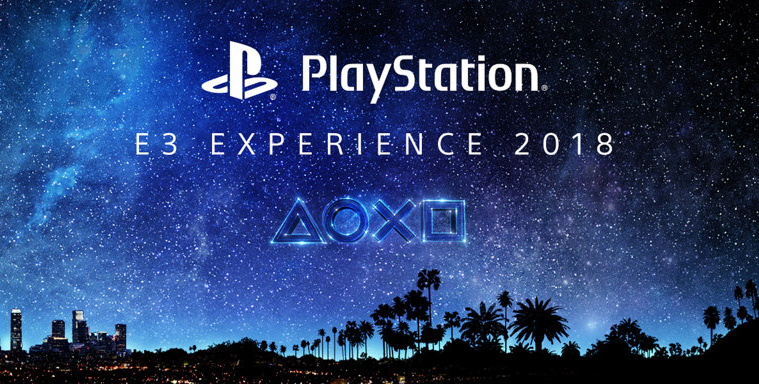 Overall, there have been a lot of really great announcements, but Sony have once again outdone themselves. I was hoping to have seen a little more on Final Fantasy 7's remake, but considering the politics and decision top move development in-house, it's no surprise it didn't show. That's quite the setback, but we now have a lot of great titles to look forward to and if you're a fan of Sony but haven't yet watched the Microsoft E3 presentation, I highly recommend checking out the Devil May Cry 5 and Sekiro: Shadows Die Twice trailers. After ten years, Capcom have finally given us a true sequel to Devil May Cry 4 and Sekiro is a brand new IP from the team of From Software. I'll have several, more in-depth featured articles on some of these announcements over the weeks to come, so be sure to keep an eye out. Enjoyed this years E3? Got something to say? Let us know in the comments below or hit me up on twitter @CaptainCortez.